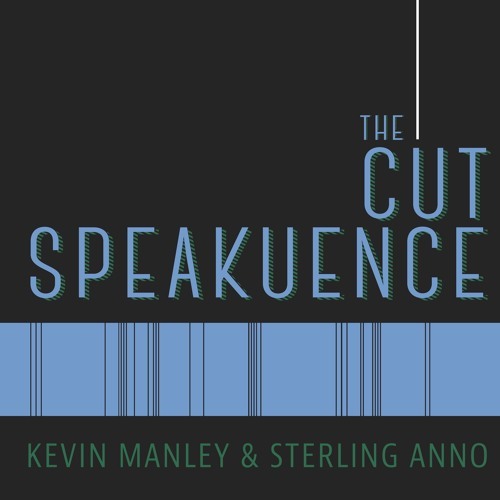 This week on The Cut Speakuence, Sterling and Kevin share their San Diego Film Week Experiences with Eric Staley. Eric discusses his role in promoting the event as well as his past life in stop motion animation. Subscribe to The Cut Speakuence on iTunes to hear the rest of the Lone Pine Film Festival series and to hear all future episodes. Want to hear Kevin and Sterling talk about a particular movie? Visit thecutspeakuence.com and write in a request at www.thecutspeakuence.com. Or tweet the guys @JustKevinManley & @TheSPORKguy. Also, be sure to leave a rating for the show on iTunes, it really supports the show. The Cut Speakuence theme music provided by Kameron Ramirez @Kamruff on Instagram.